Looking for a relaxing lake getaway? 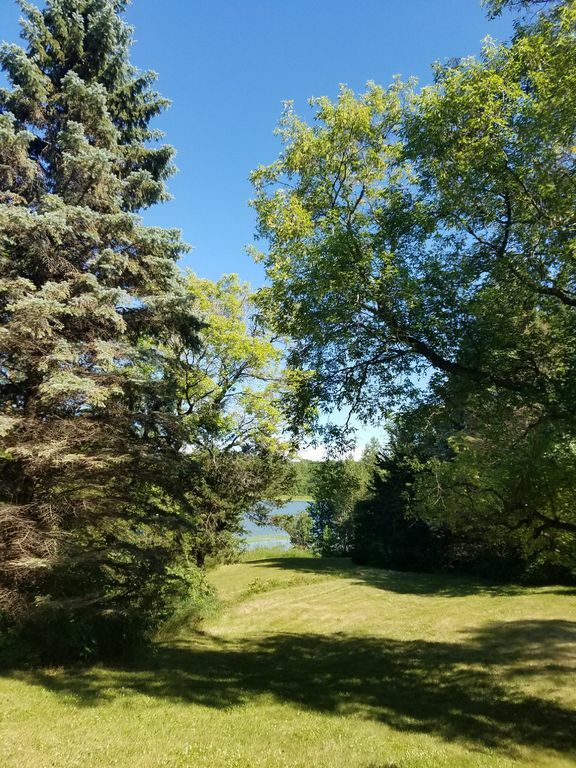 Visit our private 2.5 acre lake cabin located on Long Lake in Underwood, Mn! Our fully furnished cabin is complete with a full kitchen and bathroom and can sleep 6 guests comfortably. Our spacious yard includes breathtaking views of Long Lake, as well as a dock and fishing boat that our guests may use during their stay. Our cabin is conveniently located between Battle Lake, MN and Fergus Falls, MN which makes it the ideal location for any vacationer! My husband, Tyler, and I recently decided to embark on the adventure of owning a lake property and renting it out to those in search of a getaway! As natives to the lakes area, we wanted to share the essence of being at the lake with our adorable tiny house! With all the essentials you could ever need, our home offers an escape from day to day life and the opportunity to relax and enjoy nature! Perfect for watching movies on! Great little cabin on a beautiful, spacious, and secluded lot. We had a wonderful time! Absolutely wonderful..the cabin and property was very nice and well kept..the lake is wonderful for fishing!! We had a great vacation...definitely will be back!! Thank you so much for the glowing review! We are so glad you enjoyed your stay! We hope you will consider our tiny house for another vacation in the future! We stayed here for a belated fathers day/family vacation and our overall experience was great! There were some issues but the owners were very quick to fix the issues that we had. I am 6'3 400 pounds and despite not having a ton of room things were still fairly comfortable. I would come stay again.